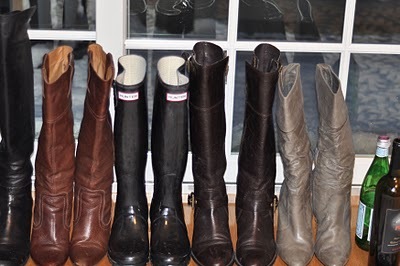 I was so tired of seeing my boots all laying on top of each other and getting bent so as part of my wardrobe organization this past weekend I re organized my boots. 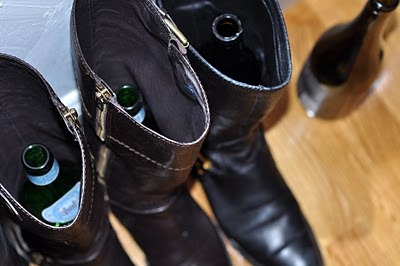 I inserted a water or wine bottle into each boot and lined them up in my closet. 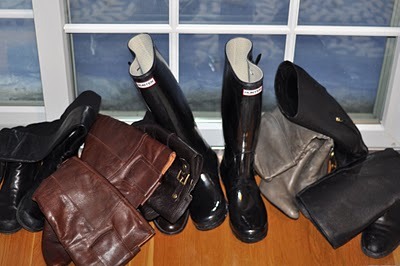 Not only do the boots look better but hopefully this will help them retain their shape and luster longer. 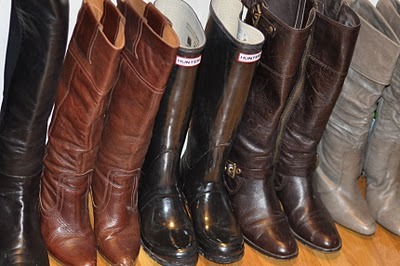 I suppose the boots would also last longer if I would just take the time to clean and polish them every once in a while too.